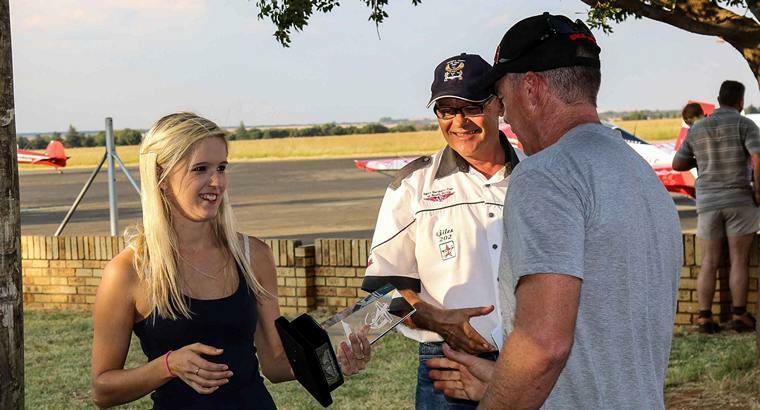 The North West Regional Aerobatics Championship was held at the PC Pelser Airport in Klerksdorp and was the first aerobatic competition for the year in preparation for the World Aerobatics Championship to be held later this year in Malelane. The weather was sunny most of the day and windy at first with a strong Northerly wind directly on the main runway, before becoming humid and partly cloudy later during the afternoon. 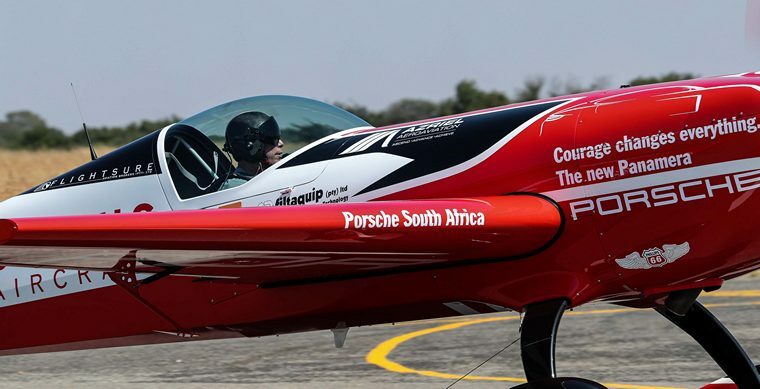 The contest director, Cliff Lotter, explained the safety rules for the day at the pilots briefing held at 9 o' clock and the effect altitude has on density and maximum temperature to be expected for the day. The contest started at 10 o'clock and some participants were already beforehand practising their sequences on the ground. 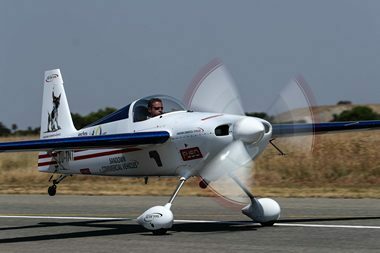 Three contestants used the one Extra 300 aerobatics aeroplane during the day for their sequences in their according classes. Kayle Woole was first up in the Sportsman Class in an Extra 300. Thirteen competitors each flew the known sequence twice in the morning before lunch and the unknown sequence once each after lunch. 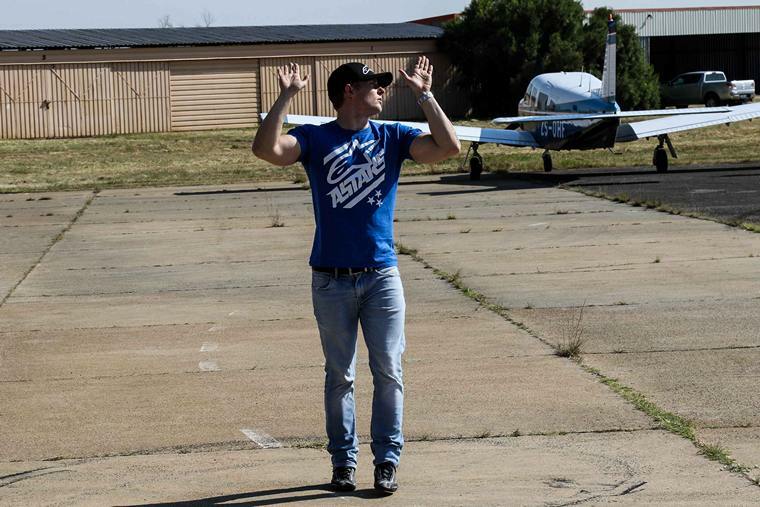 Whilst one competitor was flying his sequence another one was preparing to take off and hold the pattern outside the aerobatics box. Kayle Woole - Extra 300. Cliff Lotter - Yak 55……...Glen Warden - Extra 300. 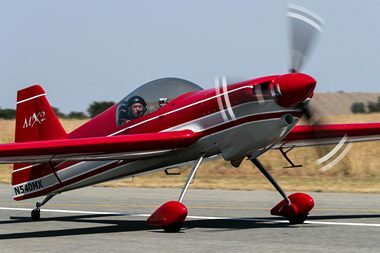 Jonty Esser - Yak 52. Gary Glasson - Pitts Falcon. Jason Beamish - Extra 300……Elton Bondi - Extra 300. 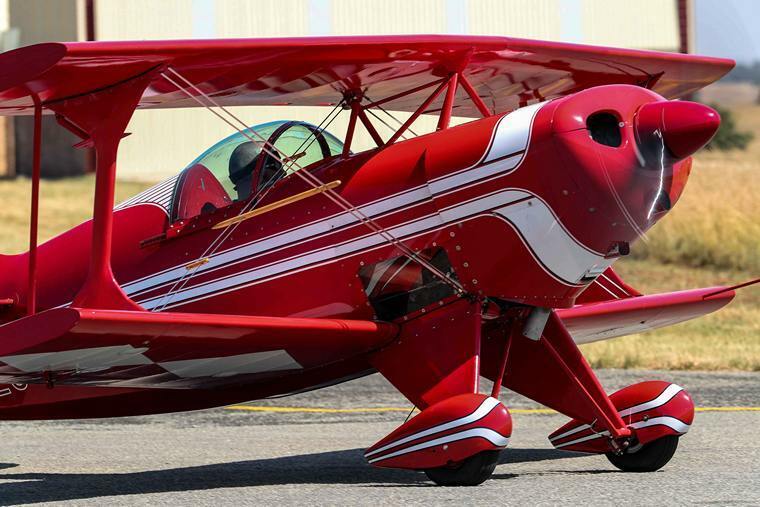 Barrie Eeles - Sbach 342. 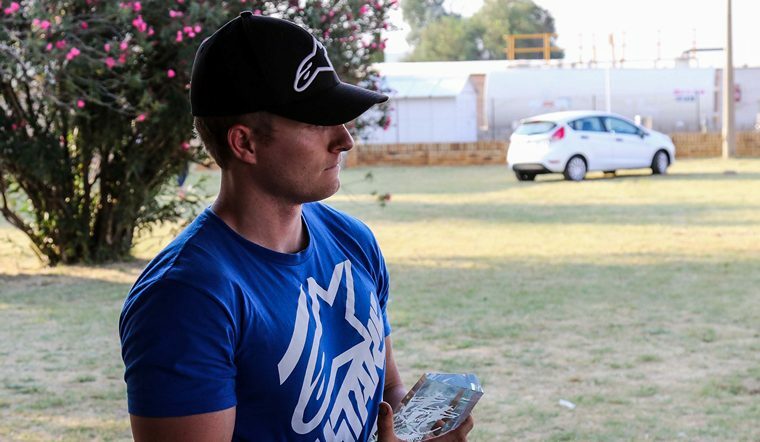 Mark Hensman - MX2……Neville Ferreira - Slick 540. Nigel Hopkins - Extra 330 SC. The unenviable task of judging rested on the shoulders of Contest Chief Judge John Gaillard assisted by Quintin Hawthorne, Laszlo Liszkay and Johnnie Smith. Natalie Stark again had the hot seat of Scoring Director. 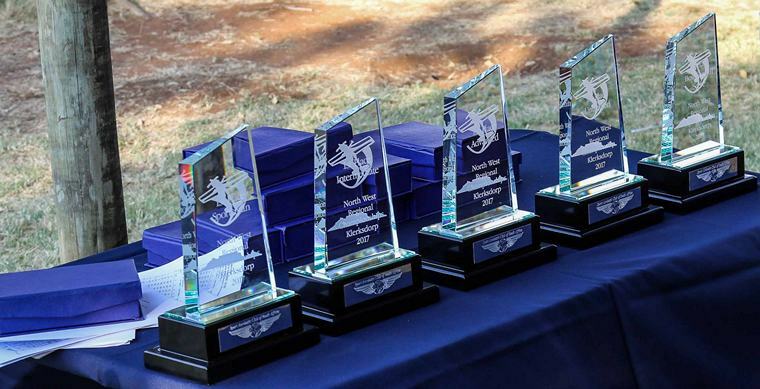 Each winner in each class received a very nice glass trophy from the contest director and scoring director. 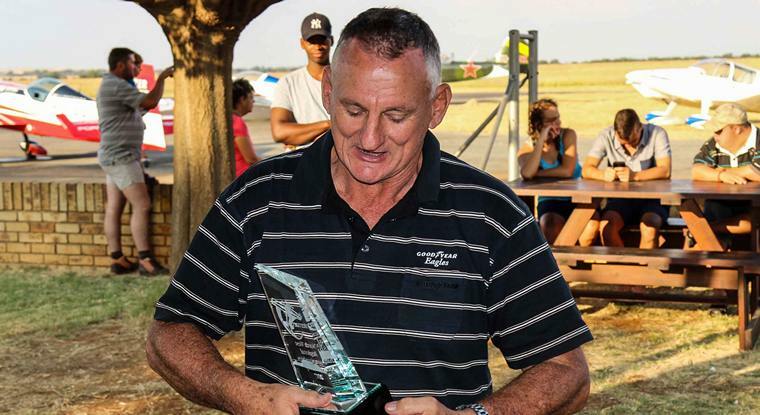 Best Overall Score winner for the day was Nigel Hopkins with 81.49% and he received another nice glass trophy. Kayle Woole - 1st Place Sportsman. Glen Warden - 1st Place Intermediate. Nigel Hopkins - 1st Place Unlimited and Best Overall Score.